Illuminations of North Carolina was established in 1989 in order to satisfy an ever growing demand for luminaria supplies. We have grown to be the largest Luminaria Supplier on the East Coast. We supply votive candles from coast to coast. All of our products are American Made. We refused to sell an imported product. 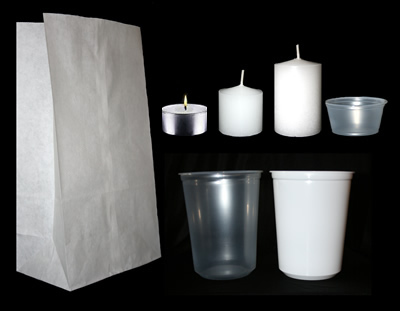 Our candles and bags are made to our strict specifications for outdoor use.